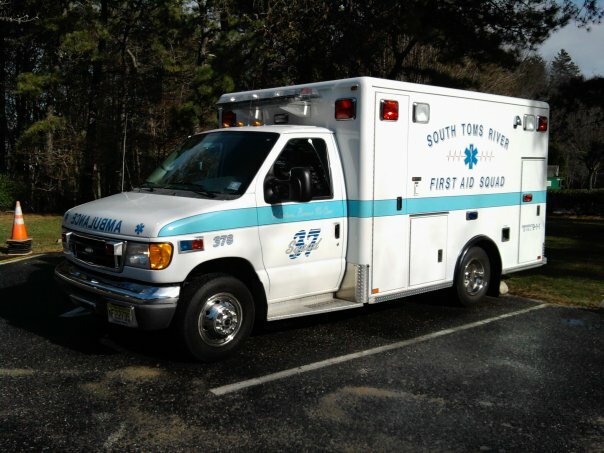 Vice President- Christopher Applegate Jr.
South Toms River First Aid Squad 37 has an extremely valuable, FREE giveaway called Vitalboards. Vitalboards are 8-1/2” x 11” write-on/wipe-off magnetic memo boards with pen and clip that mounts to the refrigerator door. These boards are great for jotting down notes, shopping list items, important reminders, and also feature a simple weekly planner. On the reverse side there are areas to include vital health information for the homeowner(s), which can assist our staff and other first responders in emergency situations. An EMS decal is also included which we recommend citizens affix on or near the front door of their residence, which alerts to the presence of the Vitalboard. Please visit http://strfas.org for more information. YOU CAN REQUEST VITALBOARDS AT YOUR HOME VIA EMAIL! their website at strfas.org or call 732-341-3339 for more information.